It's no secret that many of Chicago’s best, most beloved restaurants opt for humility over flash. 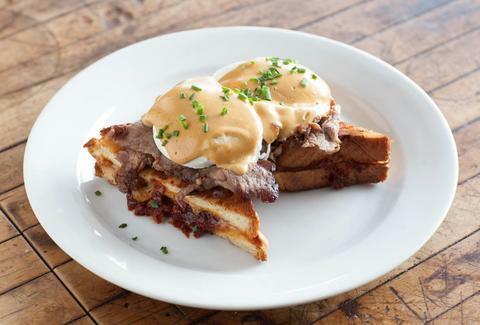 But today we’re talking about those comically unassuming, great neighborhood joints and holes in the wall, places where the gap between modest appearances and exceptional eats is canyon-sized. For instance, the most delicious authentic Polish fare in the city... found inside what looks like a grandma’s old Cape Cod, or incredible fried chicken... served inside a department store supercenter. 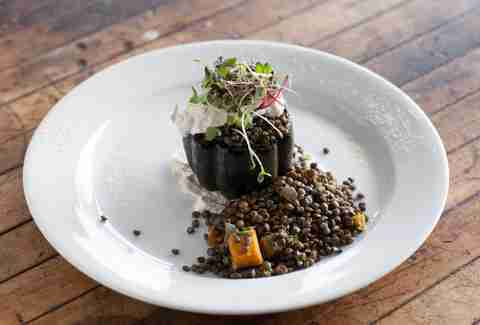 The embodiment of "no frills," these 10 hidden-gem restaurants put it all in the kitchen. 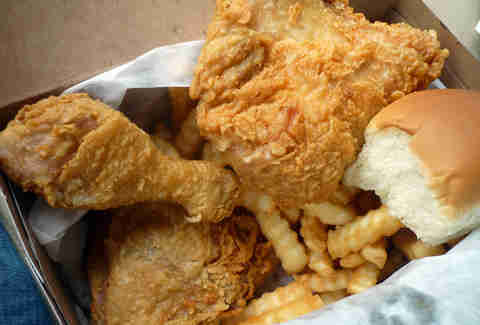 Authentic local flavor shares a roof with the world’s largest multinational big-box retailer at the Walmart outpost of Uncle Remus, located some three-and-a-half miles north of the fried-chicken favorite’s original South Austin location. There are no jarring juxtapositions on the plate, though, just well-proportioned breading, spicy-peppery seasoning, and buckets of the unique-to-Chicago “mild sauce” (from what we gather, a blend of barbecue sauce, ketchup, and hot sauce). As always, paired with a side of rancorous Remus vs. Harold’s debate. Flanked by evilOlive to the west and Chopin Theatre to the east, this homey Polish mainstay is the overlooked middle child of a busy West Town stretch of Division St. The ever-humble exterior and sun-faded sign do the bare minimum to greet you, but once inside, the decades-stewed aroma of cabbage, beef, and potatoes gives you a proper "hello." The defiantly traditional fare: borscht with kielbasa, garlic-and-beef stuffed cabbage, and crispy potato pancakes with liberal dollops of sour cream and applesauce. 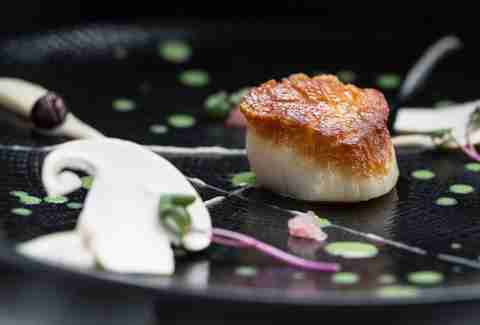 A caveat: tucked inside a small corner plaza, Isla Pilipina only qualifies as a deceiving-appearances triumph if one subscribes to the blinkered notion that great restaurants are not found in strip malls. It’s a prejudice that needs to die -- which is pretty much what would happen to all of LA if Angelenos ate that way. 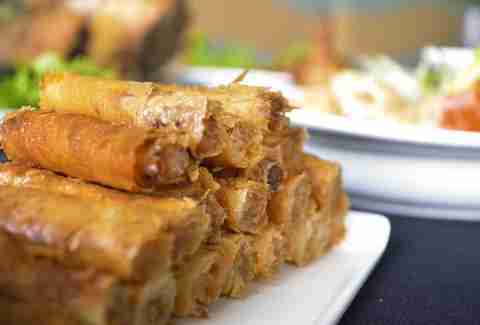 So head here for arguably the most satisfying Filipino cuisine in Chicago (chicken and pork adobo, capped with halo-halo dessert is a favorite option); and take this recommendation as a fight against the bias. In the case of EL Ideas, the aggressively modest facade -- an unmarked building at a literal dead end -- seems more a conceptual choice a la secret supper club than it does a “screw it, just focus on the food” allocation of resources. But the incongruity is so stark in comparison to Chef Phillip Foss’ upscale-on-the-inside post-Moto whimsy, we couldn’t resist. Signatures like mandatory plate-licking (for one course, at least) and liquid-nitrogen ice cream and fries are already attracting big crowds to the small space. So make reservations now for a table perhaps sometime in the second Hillary Clinton administration. Slip down a quaint block of Elmdale Ave, just east of Clark St; find the ground-level tenant of a nondescript apartment building; step beyond the generic vertical blinds; and grab a seat at one of the padded banquet chairs. From there, so much utilitarianism goes flying out the window, because Huaraches Doña Chio is one of a miniscule few local eateries that hand-crafts corn tortillas in house with fresh masa. When having your huarache topped with poblano peppers or spicy chicken, the added time and attention to detail in the kitchen is palpable. 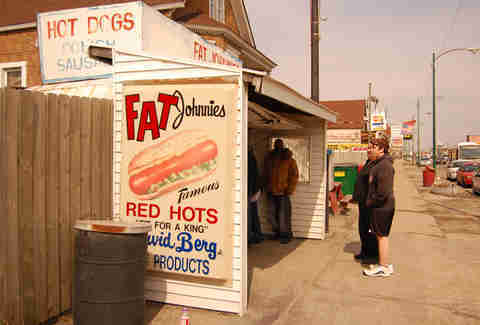 Chicago suffers no shortage of hot dog shacks, but it’s rarer than a healthy Derrick Rose to spot one that’s an actual shack. This humble stand, built into a residential backyard near Marquette Park, actually boasts a local-legend reputation for the Mother-in-Law, which slaps propriety in the face by slapping a tamale with chili on a hot-dog bun. Other Frankenstein delights include the Super Sundae (tamale and chili in a bowl) and the Mighty Dog (essentially the Mother-in-Law with a tamale and hot dog sharing a bun). So inconspicuous that its advertised address actually lands you at the chiropractor around the corner, Mini Hut kindly reminds patrons to enter at the side door, on Normandy Ave. When you do find it, the frill-less décor -- a tiny weather-beaten canopy outside, stark walls and low ceilings inside -- proves to be the ultimate Chicago restaurant bluff. 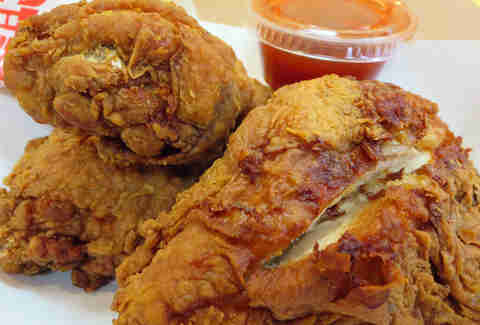 The chicken is slap-your-grandma good, extendedly marinated, slow-fried for 20 minutes, with a famously rich, buttery breading. Another diamond in a strip-mall, this relative newcomer belies a second common Chicago food fear: don’t bother with the ‘burbs. Chef Jonathan Harootunian hits the sweet spot with acclaimed takes on the familiar (burgers, Scotch egg) and fresh (steak with patatas bravas). Open for breakfast, lunch, and dinner with local, farm-to-table, seasonal, vegetarian- and gluten-free-friendly on offer. 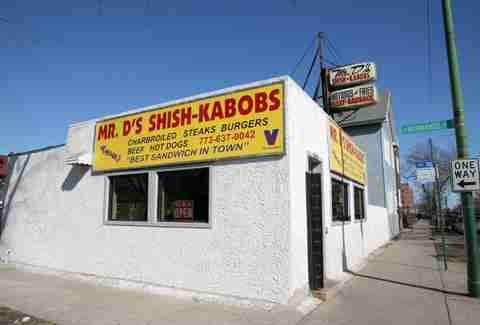 Mr D’s Shish Kabobs is a model of spartan functionalism: plain white stucco exterior; blank white walls, counters, and tabletops; a tiny, old-school changeable-letter menu that probably hasn’t changed since mammoths walked the region. Everything at this modest Montclare staple exists to support the true star, the steak sandwich. The sandwich itself is actually pretty simple, too -- a moist rib eye, served with tomato and onion on a French roll -- but it’s still one of the most crave-inducing in the land. A few descriptors tend to repeat across reviews for this Korean joint: cramped, dingy, all the panache of a conversation about weather (OK, we made up that last one). But Da Rae Jung’s shruggingly presentational style really couldn’t be more at odds with the lively noodle dishes, the spicy goat soap, the juicy grilled marinated beef, the sharp homemade kimchi, the... well, you get the idea. Stephen Gossett is a Thrillist contributor who ain't getting by on looks either. Send him a backhanded compliment: @gossettrag.